If you’re looking to monetize your blog, you’re in for a treat today. You know that I’m all about LEVERAGE and finding the simplest and fastest ways of accomplishing my goals. 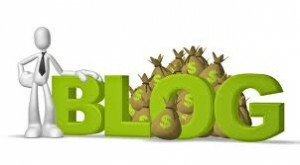 There are several ways to monetize your blog. I’m talking about MAKING MONEY directly from your blog. You can do this with Google Adsense, advertisements on your blog, and placing banners on your sidebar. You can also use the dreaded POPUPS! I recently found this very cool Popup Plugin that is unlike anything I’ve seen before. Check out the video below to watch how I can make money directly from my blog using this plugin. 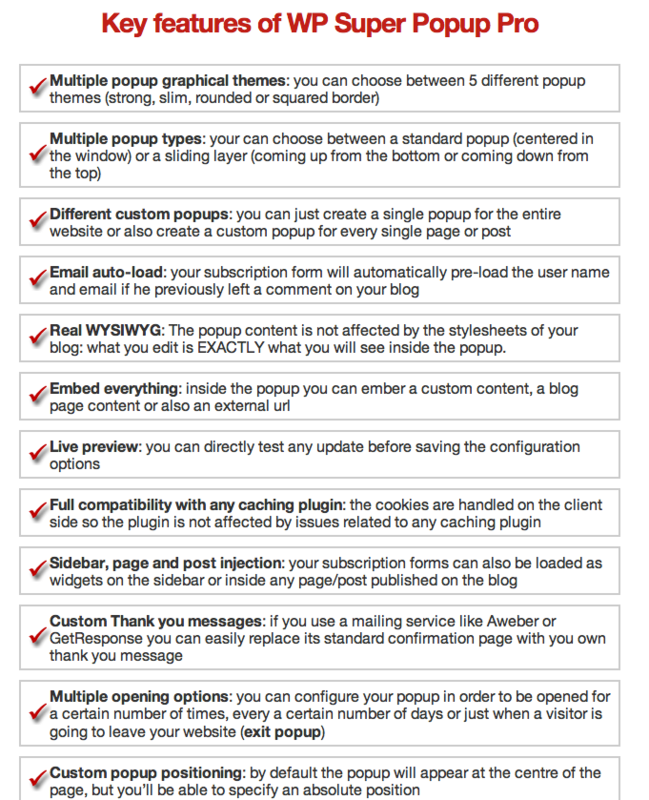 Here is a link to the WP Super Popup PRO Plugin I referred to in the video (not an affiliate link). I can use the WP Super Popup PRO to display ANY webpage for ANY offer. And your readers can opt in right from the popup. You can also use this plugin to brand yourself and Build Your List. Great post man. I’ve never used this popup service myself, but I will check it out. It looks like it might just be exactly what I am looking for. Thanks for sharing. I did not know that it is also important to monetize our blog. I have to thank for such awareness. I will keep all these in mind! The post has it all; it answers all my questions about blogs. It may not be successful for others, I’m optimistic it will work for my blogs. I’m not certain whether or not monetizing my blog will not be difficult at first. 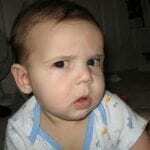 But with the information you have just provided, my eyes were widely opened for consideration. thanks for such an informative tip of plugin, i like it very much, keep sharing..
Getting ready to check out the plugin you are talking about!! Here, here! I’d try everything to make more money! This is really good published article. I will apply it to my self to improve my blogging. Such a great yet interesting post. Thank you very much for sharing this useful stuff. Hey Bob, I like the look of your blog. I am a part-time “online entrepreneur” and have worked very hard. I find “staying in the loop”, of my goals and projects/communities, challenging, yet managble. Tho I’d love to be much more effective. So, I’m reaching out. marketer, a network marketer & at least social media proficient. D) I really like the different things I can learn from different mentors, so I tend to shift my attention to teachings that help evolve me most. E) I go with my gut mostly. What I’d really love is to work full-time from home. Wouldn’t we all? G) I’d like to develop my “name blog” to better support my income. I don’t want to get into EN necessarily. H) I’m in Numis too, which is more common ground (besides being PT) and have determined that’s a skill set I will master. I) I’ve read much of the book Emotional Intelligence (a while ago) and really have realized that because of the scope of ambitions and goals I’ve set for myself, “emotional mastery” is vital. I’ve evolved to a point where I don’t show much emotion to conserve my energy & mindset/focus. That’s misunderstood a lot. J) I have incredible potential, a burning desire to evolve and succeed online, though I’m feeling overwhelmed at times by the volume of work. K) I have excellent discipline. I need to be much more effective to feel the “soul gratification”. Blogging has been the most gratifying in terms of applying myself. The growth I’ve experienced so far is excellent, tho I know I can re-think and re-strategize, to be more effective. M) The fact that you’re part-time, tells me you can understand my challenges better. Looking for insights, perspectives and tips to being more effective. O) I’ve checked out many different online buisness owners, my inner voice said “reach out”, so I did. P) The WP plug-in that you wrote about in this blogpost “caught my eye”.. 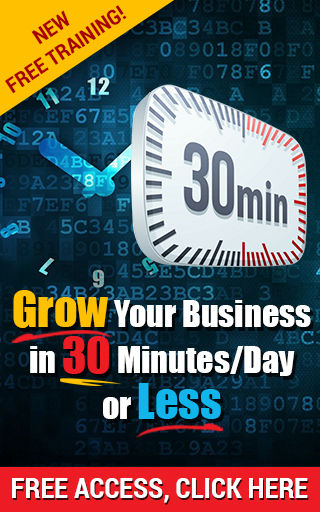 I have found this plugin and pop up to be very powerful and has easily increased my leads being captured 100 fold. I was the same, never really liked pop ups. But this one rocks! How To Romance Your List Like A New GirlfriendAttraction Marketing, Leadership, List Buidling, Stand Out! How To Find People You Can TrustAttraction Marketing, Finding a Mentor, How To, Leadership, Shortcuts to Success, Stand Out!